Home / Games / Archive by Category "RPG"
We do, even if you don’t want to be near one in real life, we all love looking at fire. It’s entrancing. 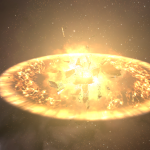 I blew up my first citadel the other day. Well, not just me, we had a fleet of course. But I did not see the explosion coming. I had no idea about it, and it was amazing. I’ll just let you see for yourself in the few screenshots I made. I did lose another hound this weekend. 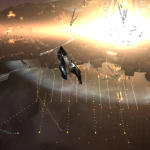 I need to stop flying squishy ships, which is why I bought an Omen and a Gila and brought them inside the wormhole. I have a bunch of other ships on my “Get them inside” list but I need to start earning ISK again because I only see my total dropping. The fact that PLEX prices are way down since last time is not helping at all. 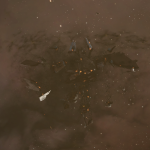 I have 11 PLEX parked in Jita that I bought when they were at 1.2b a pop. So that’s currently little over 3b loss just on those. Maybe I should use them to get extractors instead. I heard that they are a nice moneymaker. But that’s for another post. I lost a Cynabal the other day. We had a wormhole close to home, that led us all the way out to Venal. So we decided to go roam over there, find us some targets. The system we came in at was currently experiencing an incursion. So, there were incursion rats here. Remember this, this will be important later on in the story. 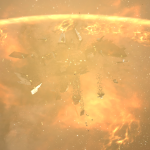 There were about 13 of us, Cynabals, Vexor Navy Issue, Sabre, etc. So we were a small group, out looking for targets. Going from Venal to Deklein we came into Goonswarm territory and we killed a few Goons. Ishtars were killed, capsules were destroyed. All in all, we did okay. It was about time to go back home, it was starting to get late and turns out that near our home system someone had undocked his Nightmare. So we wanted to go kill him. Onwards, back to the wormhole! Now, as you may, or may not know. 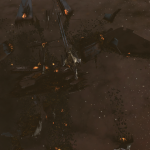 Incursion rats have warp scramblers. I did not know this, neither did some of my fleet mates. 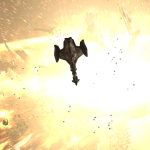 So as we were chugging back towards the wormhole some of us went faster than others. I was one of them. While being at the front of the fleet is nice for catching things, it’s not nice when you get caught. 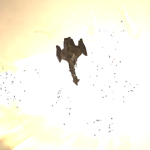 So imagine my surprise when I suddenly see a warp scrambler lighting up my UI. And slowly, but surely, my shields were dropping. Meanwhile I heard someone on TS say that they died to the rats. In the end, 4 of us died to rats. None of us got killed by players, and yet some of us had to return in a capsule. This because we didn’t stick together in the end and the rats were able to pick us off. I lost a ship I was having fun with, but I still have 5 others in my hangar. The only real shame is that I lost the killmarks. Guess I’ll just need to go make a few new ones. At least the Nightmare died too. Although it wasn’t as shiny as we hoped. As most of you know, Fallout 4 released a few days. And like any other gamer out there, I’ve been playing it for the past few days. Due to the fact that I couldn’t wait for the midnight release on tuesday. I, like many others, connected to a VPN in Australia to have the game unlock for me a bit sooner (11 hours to be exact) so I could play without losing sleep. There’s been a lot of people talking about Fallout, what they like, what they dislike, lots of reviews, everything you need to know about the game is somewhere out there online. So I don’t really feel like talking about everything. What I do want to say though, is that I absolutely love it. I currently played about 25 hours total on it, and haven’t even started progressing the main story yet. It’s been a few years since New Vegas came out and we were able to roam one of the wastelands that came about after the Great War, which started and ended on October 23 2077, for the first time. And we all missed it (or at least most of us did). I played through Fallout 3 and New Vegas a few times and was looking forward to this instalment of the games. It does not disappoint at all, unless you’re one of those people that likes to whine about the fact that grafics aren’t what they should be. I have to admit that it’s not like GTA V or The Witcher, but it still looks and play pretty good. Ghouls terrify me though. 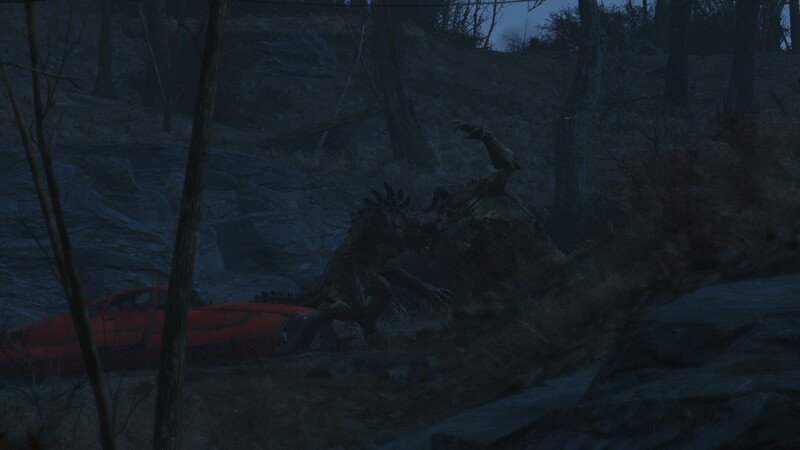 I never liked them in the previous games but the Fallout 4 ghouls are like the World War Z zombies. They’re fast when they spot you, and it’s freaky. Every time I come across “corpses” I shoot them again, just in case they suddenly stand up. 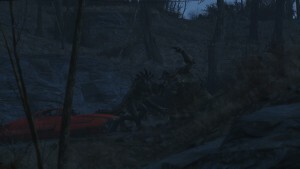 Fallout 4 crafting is fun, and if you’re into building, the settlements will take away hours upon hours of your time. In general, if you liked the previous games, you’ll love this one. Some things have changed, but in the end, all we really want to do; is explore the commonwealth. A few weeks ago I upgraded my entire gaming desktop to Skylake. For those of you who don’t really follow technological news, Skylake is Intel’s newest architecture, it got released with two new processor chips, the i5 6500k and the i7 6700k. Seeing that I not only play games but also do some virtualization and whatnot I went with the i7. Anyhow. While playing Elder Scrolls Online a bit I started browsing the Skyrim subreddit, saw a bunch of beautiful screenshots of how a modded up Skyrim looks. And decided to try out my luck on modding a bit too. Let’s just say that I’ve spent more time on getting all the mods to work than playing. Not only is modding the game to look prettier addictive, it’s not that easy to get them all to work the way they should. It took multiple hours for me to have it running stable and on a decent FPS level but I’m happy with it. For now. So I’ve got yet another game to keep myself busy with. 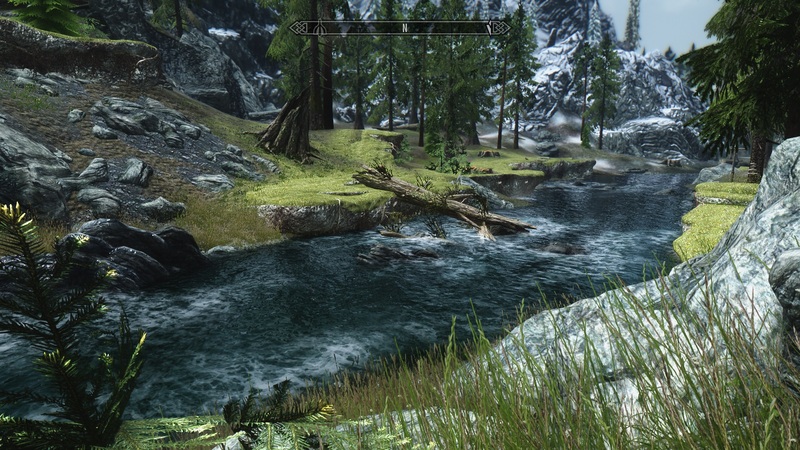 Playing Skyrim with mods is something that I was planning to do for ages and finally got to that point. I’m sure that I’m still missing a lot of them that could make it even prettier, but for now, I’m pretty happy with the results.